Behavioral health experts have studied social media’s mental impacts for years, and today’s behavioral health facilities are building upon their findings. A lifestyle of remote engagements, likes, comments, content sharing and selective friend groups take a toll on the human mind—and most of us have yet to realize it. Facebook, Twitter, and Instagram are all fantastic news, social and content portals, but they may be impacting your health negatively. Today’s digital world is hungry, and its users are feeding it with engagement notifications, private friendships, persona shifts and subconscious friend comparisons. Below are the five biggest ways social media is impacting your mental health. Hang on, because it might be a bumpy ride. Understandably, you can’t engage the real world while you’re behind a computer. Behavioral health services, however, have taken action to approach this problem at a deeper and scarier level. Today’s social media lovers are actually “tricking” their brains into thinking their online life is their outdoor life. Sure, news about food, politics, and friendship interactions are fun, but the fun ends when the brain’s ability to perceive experiences begins. This effect may, indeed, be harmless in small doses. In big doses, however, it can lead to false perceptions of reality—leading to depression, anxiety and even depersonalization. 51 percent of social media users felt social media created a decline in confidence. 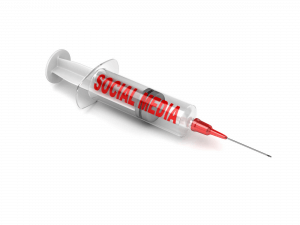 53 percent of social media users felt social media altered their behavior. Moreover, the study’s participants stated these behavioral changes were likely caused by creating daily comparisons. Social media networks are notorious stomping grounds for cyber-bullies. Because a level of anonymity exists alongside a simple lack of responsibility online, individuals are more likely to “hide behind their PCs” when talking to others—sometimes harshly. Cyber-bullying isn’t restricted to an age group, but it’s certainly exclusive to mental health decline in both victim and aggressor. Cyber-bullying, over time, can heighten—or even cause—anxiety disorders and create a general decline in mental health. Facebook and Twitter’s constant stream of information, action, news, and events can lead the human mind into a socially addictive state. Even if the user doesn’t act upon these feelings, these feelings alone can trigger a “fear of missing out.” Today’s smartphones have only heightened this phenomenon, creating an always-connected feeling among users—which makes said users responsible if they show up too often. Or, even worse, if they don’t show up at all. It isn’t from sitting at a computer, either. More so, it’s from users opting out of team sports and exercise. A recent study revealed a strong correlation between social media use time and a tendency to opt out of physical activity. The above-mentioned responsibility to show up, or to not, may cause this. That said, a perceived interaction with the outside world may actually reduce the user’s need to interact with it at all. Of course, every person is different. Behavioral health is a fickle thing, and it’s impacted by many of our daily activities. It should, however, be protected carefully. Social media in moderation isn’t too bad. It can even be healthy in some cases. Although, overindulgence in social media may worsen mental conditions while growing new ones. Be knowledgeable about your social media hygiene, and don’t’ get too wrapped up in the digital world.